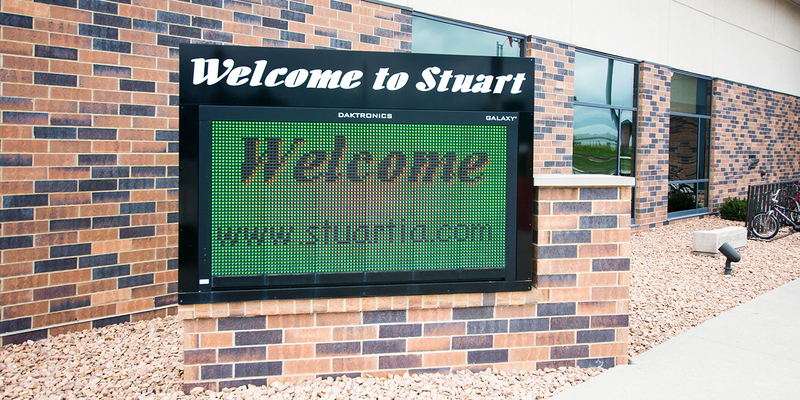 Stuart’s digital sign is a high visibility sign located right in front of City Hall and the Library. This sign is provided by the Stuart Chamber of Commerce. The purpose of this sign is to provide area businesses and nonprofits an area to advertise, as well as to promote upcoming city events. With a membership to the Stuart Chamber of Commerce, you are given one week of free advertisement space on the community sign. View the below document for additional information on advertising on the Stuart Digital Sign, as well as an application form to submit an event for publishing. To request an ad on the sign, fill the form below. If approved, you’ll be contacted with additional information and to arrange payment.